The show we’ve all been waiting for has finally made it’s way to Netflix. It’s possibly the single most relaxing television show ever in existence, and we now have access to it whenever we want. Get excited, because Bob Ross is back. In case you need a refresher, Bob Ross made a name for himself with his show The Joy of Painting, which aired on PBS from 1983 to 1994. 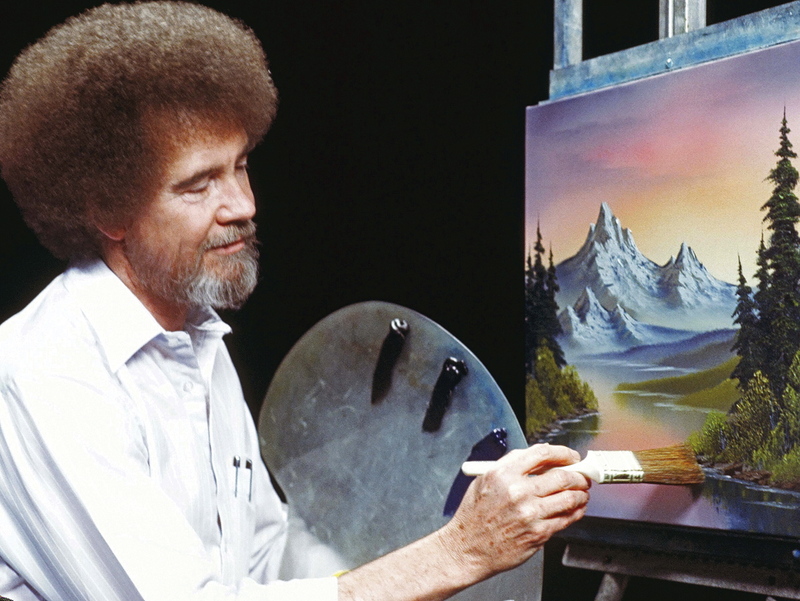 Ross’s soft spoken voice and his incredible painting skills made for the most calming TV experience one could ever hope for in the ’80s and ’90s. Not to mention his trademark curly hair that made him instantly recognizable. But just so everyone’s clear on what to expect — Netflix isn’t streaming The Joy of Painting, but rather Beauty Is Everywhere, a series that was filmed in 1991 a few years before Ross died of Lymphoma at age 52. The format is nearly identical to the original show, the only difference is, you probably haven’t seen any of these 25 episodes. We know what we’ll be doing for the next 25 evenings — cozy PJs, a glass of wine, and our long lost love Bob Ross streaming on Netflix. Life is good, and beauty is everywhere.